Jacqueline Vincent (Jackie), an Accredited Specialist, has practised predominantly in the Family Law area since commencing work as a Solicitor in 1997. She has experience in all aspects of Family Law including property and financial matters, residence and contact issues, child support, maintenance and domestic violence as well as de facto relationship disputes. She appears regularly as an advocate in both the Family and Federal Circuit Courts. Jackie’s patience, ability to communicate openly with clients, and straight forward approach to legal practice, mean that she can quickly understand and analyse all aspects of a client’s individual concerns. This, combined with her solid grounding in Family Law, allows Jackie to pursue the most appropriate legal action which she believes will achieve the best results for her clients. Jackie’s knowledge and experience in Family Law practice and Court procedure means that she can also offer to her clients the skills of a confident and direct advocate. Her attention to detail and articulate manner are among some of the most essential ingredients which contribute towards a successful outcome of Court proceedings. Jackie has also presented at numerous Australian and international conferences and is a convenor of the Australian Family Lawyers’ Conference. She is also a contributing author to Halsbury’s Laws of Australia. Jackie was raised in Canberra and completed her tertiary education at the Australian National University. She then spent several years working and travelling overseas. 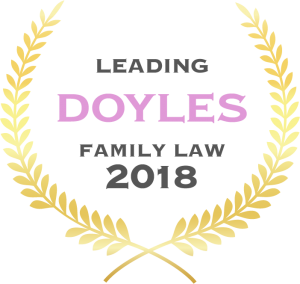 She returned to Australia and commenced work as a Family Law / Conveyancing Solicitor before joining Watts McCray to specialise in Family Law in February 2001. She has been a Partner since 2005 and Managing Partner since 2016. In 2015, as part of the Women Lawyers Association of NSW Awards, Jackie was presented with the Highly Commended Judging Panel’s Award for her contribution to the law generally and to the development of junior practitioners in particular.